Get lost in beautiful and wild nature of Vietnam in the East and the West with our 11- day tour. 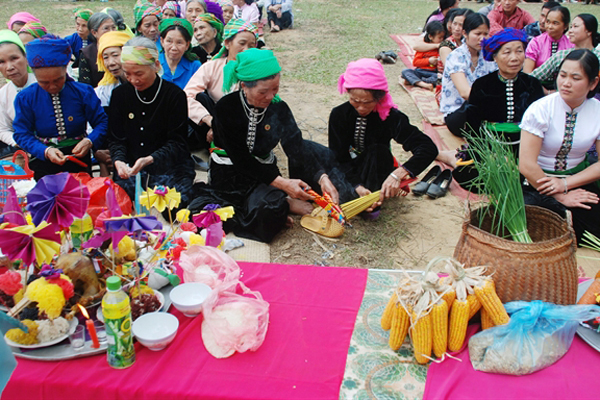 It is also the chance for you to explore authentic culture of many different ethnic minorities like Dao, Tay, Nung and H’mong when setting your foot in each place. This tour requires trekking a lot, make sure that you prepare adequately exclusive items. Notably, Can Cau Market and Dong Van Ethnic Market are only available on Saturday and Sunday. 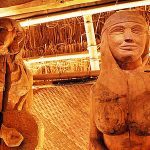 If you would like to visit these market, the tour should be run in the weekend. 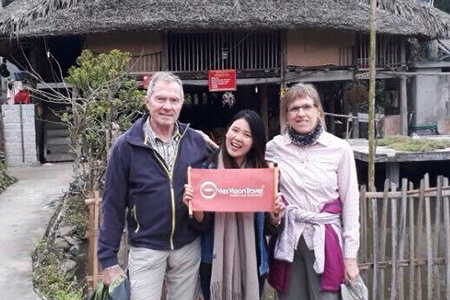 This morning, we take a scenic drive to Mai Chau Valley (Hoa Binh Province) – one of the closest attractions to Hanoi where we can find a truly rural life of ethnic minorities. During the drive, we stop for visit and take photos at some verdant tea fields, Luong Son Market, ethnic villages with their houses on stilts. 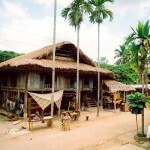 In the early afternoon, we arrive at Mai Chau then have lunch in a Thai family in Lac Village. Morning guided sightseeing in some H’mong villages in Xa Linh Rouge, next to a mountain pass on Highway 6. Then, we take a trekking in 3 hours to Hang Kia Village located in a valley and mostly settled down by H’mong people. Afterward, head to the Northwest about more 60km, we set our foot at Moc Chau Plateau which is famous for cultivated and grown place of green tea and dairy cows. Enjoy our dinner at a cozy local restaurant then overnight in a hotel. 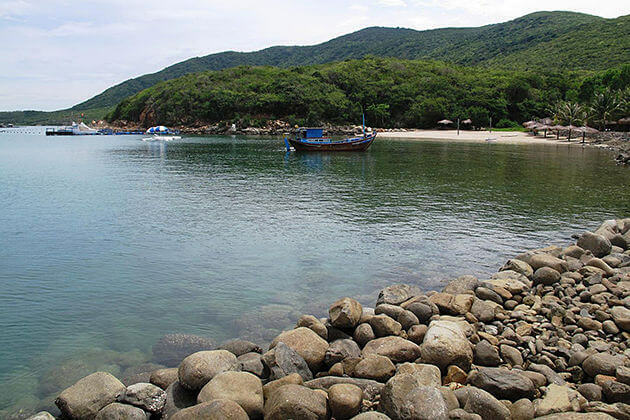 Itinerary today starts with the trip to Phu Yen – the oldest town of Son La Province then continue with Nghia Lo (Yen Bai Province) which is well-known for “hoa ban”- a symbolic flower of the Northwest area, Muong Lo rice, five-color sticky rice, brocade and “xòe Thái”- a traditional dance of Thai people. 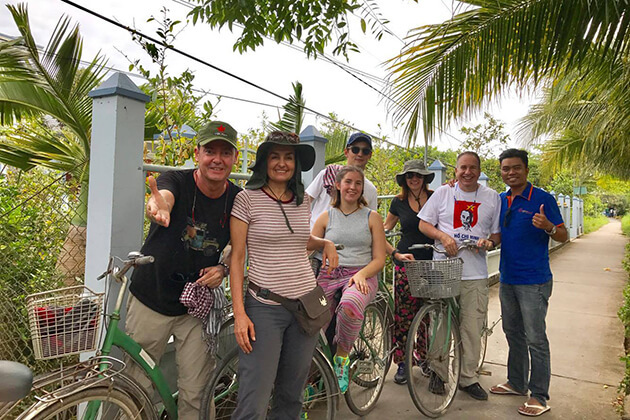 After check into a hotel in Nghia Lo, alongside the valley of Muong Lo, we will take a walk around the village to get a closer look about daily life of local residents especially Black Thai people. Back to hotel in Nghia Lo for dinner. Overnight here. 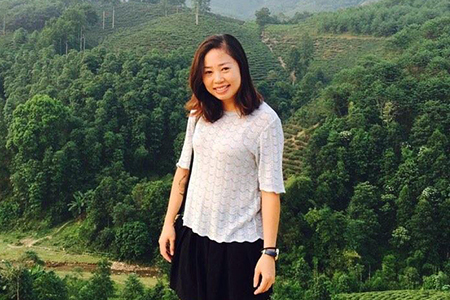 Leave Nghia Lo this morning, we take a scenic drive to Mu Cang Chai. 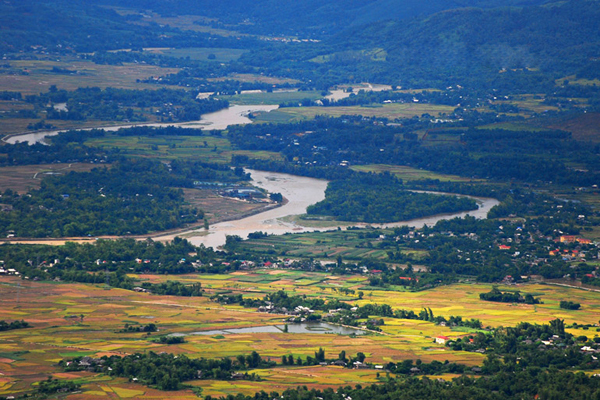 To get this town, we have to drive through Khau Pha Pass known as one of the four largest pass of the Northwest where we can experience mighty landscape of mountains, forests and enormous paddy fields. Besides, on the road, our driver will stop the car at Tu Le Village to let us rest, walk around and enjoy the scenery. Then, continue the trip with a visit at H’mong village of Nga Ba Khin before drive more 7km to set foot on another H’mong village of La Pan Tan. Arrival at Mu Cang Chai in the early afternoon. When in Mu Cang Chai, we first check into a Thai people’ house then have lunch with their family. After taking a short rest, we move to Kim Noi Village by walking. In the late afternoon, we return to our home-stay for preparing meal with the host. Enjoy dinner and overnight here. Take a short rest after arrival in Sapa, we walk down to Cat Cat Village – a living place of Black H’mong people. 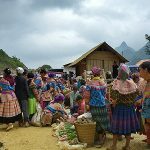 Here, we get deeper insights into local people’s life by seeing ethnic women selling colorful brocade traditional dresses in small houses or ethnic children playing together in the front yards, etc; enjoy fresh air and peace of mountainous area. Next, we move to a hydroelectric center and a beautiful waterfall, then hear our local guide introduce about its history and other related interesting stories. Back to the hotel in Sapa center when it gets dark. Enjoy our free dinner and overnight here. This morning, our driver will take us to Silver Waterfall before having breakfast. After climbing up the stairs within 20 minutes, the waterfall make its appearance spectacularly in front of us. Then, we drive farther to Heaven Gate – a must-visit attraction of Sapa known as the highest peak of Vietnam’s road. 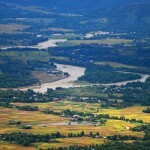 From here, we can marvel at Fansipan – the top of Indochina and might landscape of surrounding mountains and forests. Lunchtime will be taken place in a convenient spot among the forest. After having a break, we continue our trekking tour to the campsite and enjoy the breathtaking landscapes of Sapa and Lai Chau Province during the hike. In the late afternoon, we arrive at the campsite at 2800m ASL then rest and enjoy dinner after a long walking day. Located in the height of 2800m and known as “Indochina Summit”, trekking to the Fansipan peak will be our highlight today. Gain a victory over ourselves and enjoy breathtaking scenery of nature are certainly the most unforgettable experiences in this journey. After a few minutes of resting, we hike down to the campsite and have lunch. Then, follow the trail and stone steeps in Hoang Lien National Park, we meet our car to return to our hotel in Sapa where we can relax after a long trekking day. 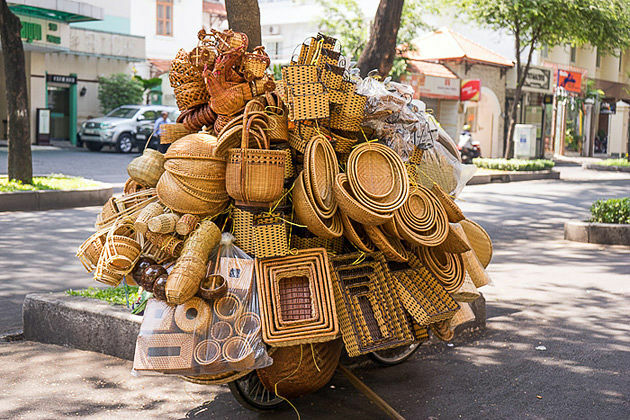 If our trip falls on weekend, we will visit Can Cau Market- a famous ethnic market in Bac Ha Town that is only taken place on Saturday morning and Sunday morning. After breakfast, our driver takes us to this town within 3 hours. Passing Bao Nhai Bridge, we set our foot on Can Cau Market and start exploring bustling and hustling atmosphere here. We can find various types of products and easily buy an unique souvenir like brocade or silver items for ourselves. Transfer to Ban Pho Village – a small village of Nung and Flower H’mong people where they grow many vegetables and fruit trees especially plum. 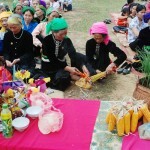 Stroll around and witness daily life of them before visit a local house and taste a kind of ethnic alcohol named corn alcohol. In the late afternoon, back to the town and check into our hotel. Overnight in Bac Ha. 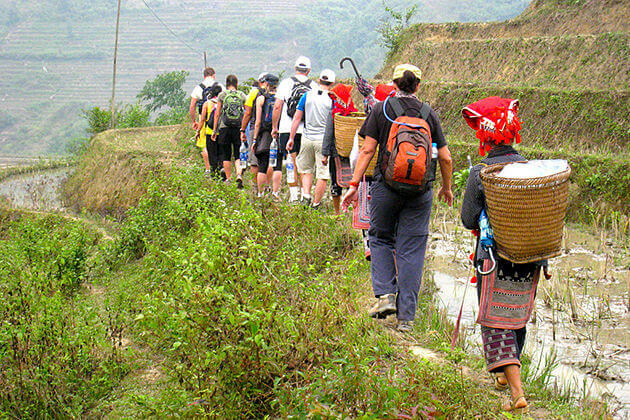 Leave Bac Ha this morning, we shift the direction to Dong Van – the largest rocky plateau of Vietnam. 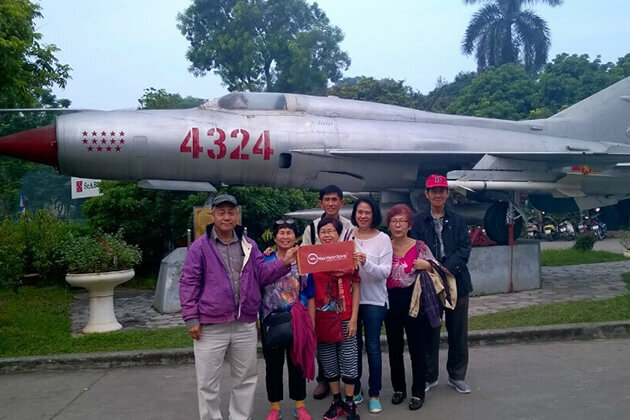 On the way, we stop for a visit and take photos at Lung Cu Flagpole then enjoy the majestic landscape from Heaven Gate in Quan Ba before continue climbing the chain of limestone peaks. 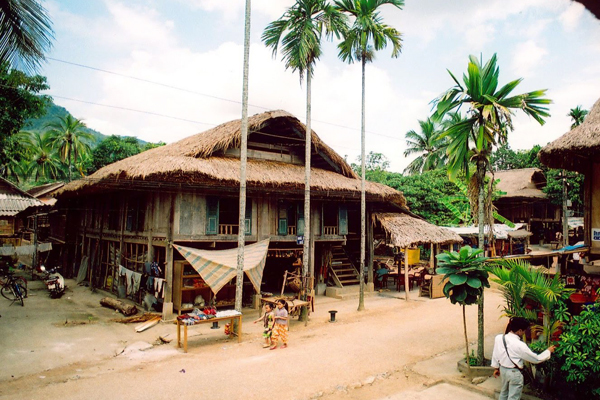 We aslo visit several H’mong villages with old mud house built in colonial style. Specially, all the house will light their lanterns at night 3 times per month. Located in 12km far from Dong Van, Vuong Chi Sinh Ancient House is our next site. He was considered as the King of the H’mong in Dong Van in Indochina War. The house is a palace made from stone and wood of Qing Dynasty in Chinese architecture style. Afterward, we back to Dong Van for dinner and rest. Overnight in a hotel. 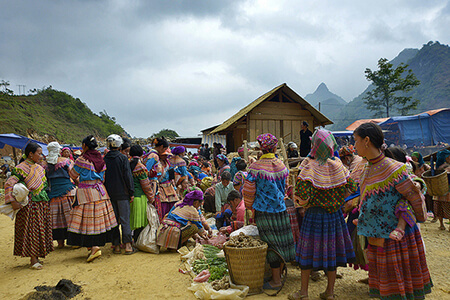 Similar with Can Cau Market, Dong Van Ethnic Market (Ha Giang Province) is only available on weekend (Sunday). If we are lucky, we will visit it where we can buy variety of products and ethnic items and get more insights into local people’s life. Leave the market, we drive along Nho Que River and get amazed when witnessing the whole breathtaking scenery from the top the most magnificent pass of Vietnam – Ma Pi Leng Pass. After 2 hours, transfer to Meo Vac to have a short break before drive to Bac Kan. In Ba Be Lake, we will enjoy the tranquil landscape and relax ourselves after a long day with the nice river view from Pac Ngoi Village. Have dinner, beer time and overnight in a beautiful homestay. 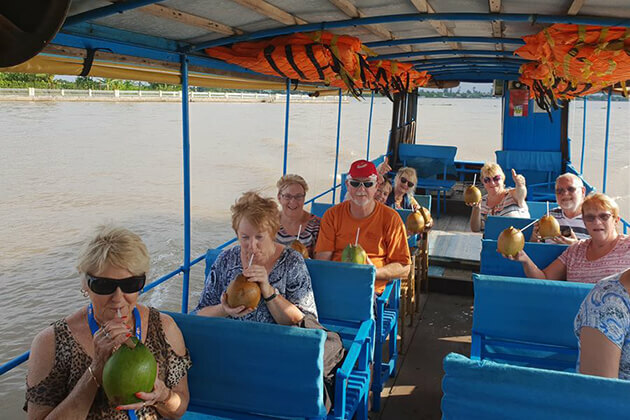 Morning sightseeing with local guide introduces us about Ba Be Lake – the largest natural lake in Vietnam with over 650 hecta of area and around 8km of the length. Take a boat and row it along the river, we will visit Puong Cave in Ba Be National Park before marvel at Dau Dang Waterfall. Afterward, take a stroll around it while waiting for our lunch in a local restaurant. In Pac Ngoi Village, we have a short break before prepare to go back to Hanoi. Arrive at Hanoi in the late afternoon where your holiday ends.